From left to right: David Martínez Lago, Alfonso Valderas, Daniel López Velasco, Ricardo hevia. Pablo Pita, Pablo Gutiérrez, Antonio Sandoval and Antonio Martínez Pernas (Estaca de Bares, aug. 2013; photo by Antonio Gutiérrez). Lives at Madrid, and comes to Estaca de Bares every summer for a whole month with his family, to spend most afternoons and evenings seawatching. In love with this landscape and its birds since he was a little child, is co-editor of "Boletin de la Estación Ornitológica de Estaca de Bares" and co-auhor of presentations about the seabird passage at Estaca de Bares. One of the best connaiseurs of the biodiversity of NW Galicia, he lives at O Barqueiro, only 5 km from Estaca de Bares. His career as a birder started at the end of 2011. Since then he visits the headland and surroundings every few days, and almost daily during the main passage season. A dedicated biodiversity photographer, he owns the blog "Cousas do Norte", with huge information about the nature and landscapes of the north of A Coruña province. Started birding at the early age of five. He has spent thousands of hours doing seawatching and working with seabird counts. However, his passion, above all, is global birding. Member of the Spanish Rarities Committee since he was 19, has found a number of ‘firsts’ for both Spain and other countries. He has had identification papers published in many ornithological journals, including Alula, Birding World, Cotinga, Dutch Birding and Neotropical Birding. He is actually member of the Birquest team. Born al “Costa da Morte”, one of the wildest coasts of Galicia and Europe, is a birder since quite young. Has found several scarce species at Estaca de Bares (European Roller…) or close (Desert Weather…). As a psychologist, owns a six sense to find out the character of every birder after only a brief talk while seawatching! Former member of the Spanish Rarities Committee (CRA - SEO/BIrdLife) and tireless bird photographer, has travelled all over the world to watch and photograph thousands of bird species. You can check his web page at www.travellingbirds.blogspot.com . 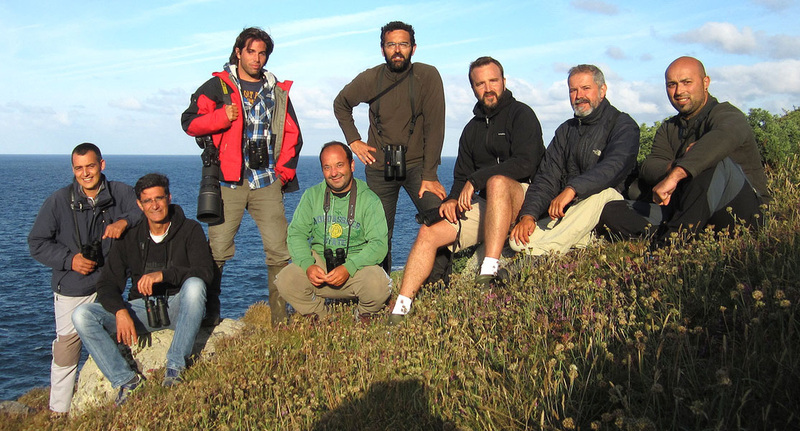 Together with Antonio Gutiérrez has created the web page www.birderscove.com , with information about all the rare birds found in Galicia. The only northern Galicia bird ringer, he is a birder since a child. His main birding area are the surroundings of the city of Ferrol, an hour far from Estaca de Bares, but during the autumn migration he spends several journeys ringing at the tiny reedbed close to the bird observatory. He has ringed there Wryneck, Bluethroat as well as many other more common species.